What do I need to to do to get a mortgage? "With so many variations, terms and of course, conditions. We give you an overview of the types of mortgages available." A rate that rises and falls in line with the changes made by the lender. The interest rate is fixed for a period, ie 5 years. Whether interest rates fall or rise, with a Fixed Rate the payment would remain the same. Often lenders will at the end of a Fixed Rate, tie you in for a further period, commonly known as the redemption period. A mixture of Fixed and Variable rate. The lender will Cap the mortgage at an agreed rate, if interest rates remain above this rate, you will be charged the Capped Rate, if rates drop below the Capped Rate, your rate will also drop. Again similar to fixed rates, there may also be a redemption period. As the name suggests these mortgages are linked to the base rate set by the bank of England which can rise or fall on a monthly basis, please note that most lenders offering this type of mortgage charge a premium above the base rate for this type of product. A discount is given off the lenders Variable Rate for a certain period, i.e., two years. Therefore, whether interest rates rise or fall, you will be charged a rate less the discount. A redemption period may also apply. 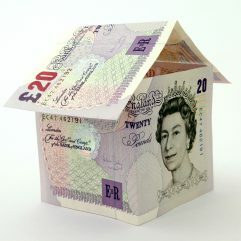 The lender will, either on completion of the mortgage or shortly afterwards, give you a cash sum. This is generally a percentage of the mortgage i.e., 3%. Cashback mortgages can be linked to Discounted, Fixed or Capped Rates. A mortgage linked to the London Inter Bank Offered Rate, as opposed to most mortgages, which are linked to the Bank of England Base Rate. The rate is reviewed four times a year, and is used mostly by adverse credit lenders and some buy to let lenders. Some lenders offer mortgages in different currencies, mostly for purchasing properties abroad. A handful of lenders also now offer Euro currency mortgages for UK properties. Get a Quick Mortgage Quote Now! mortgage-adviser-uk.com is an information website - all of our content is written by qualified advisors. Registered in England under number 03444724. We are an introducer appointed representative of Finance Advice Group Ltd under FCA number 624517. Copyrights © 2017 & All Rights reserved.